After a few jaunts to the city of late, I’ve come to realise that Lisbon is one of those places where you kind of need to know where to go to eat well (much like most cities, I suppose). Sure, there are loads of cafes and bistros with multi-lingual marker-pen menus, and I’m sure perfectly reasonable food. But I know there’s more to the city than that. Pois Cafe. A chilled cafe space that does healthy salads and sandwiches/bagels, and a great eggs brunch. One big room, vaulted ceiling, shelves of books and magazines to browse, and comfy sofas to relax on. Free wifi and lovely staff, too. Chapito. One of my all-time favourite Lisbon hangouts. A circus school with restaurant and downstairs bar. Sounds an odd combination, but Chapito is full to the brim with character and ambiance. There’s a theatre and performance space, outdoor tables with views over the city and river, and the downstairs bar has an open fire, suitcase chairs, and regular live music. Restaurante Príncipe do Calhariz (Calçada do Combro 28/30). My favourite place for grilled salmon and seafood rice. Excellent value, always rammed. Go early or expect to queue. 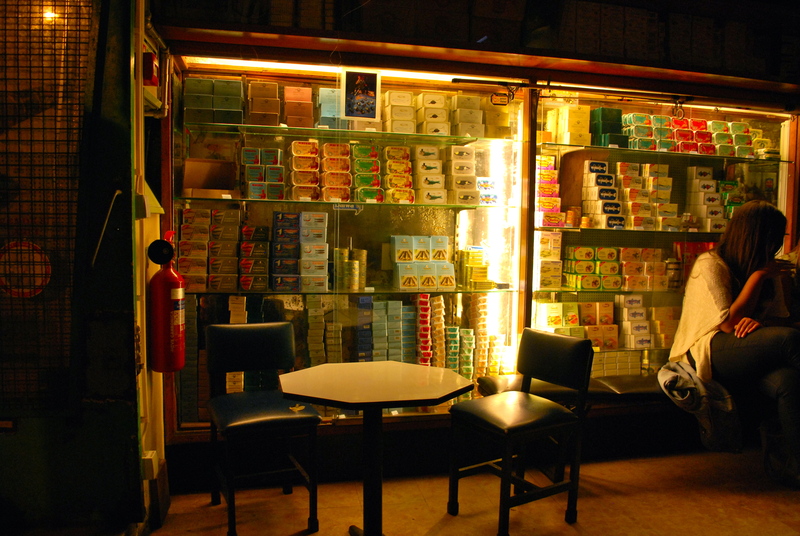 Cafe Tati (Rua da Ribeira Nova, 36, cafetati.blogspot.co.uk). I can’t say enough about this place. Tucked behind the Ribeira market, I was introduced to its charms by a friend who I met on my most recent visit to Lisbon, and it has since opened my eyes to what a good cafe/bistro could be about. Delicious food (I tried the goats’ cheese salad, which came grilled on top of slices of apple, and a fresh berry juice of the day), hip decor (loved the modernist chairs, antiques and picture wall). But best of all, it has live music most nights of the week. So if you like jazz with your juice or soul with your salsa, this is the right place to come. Sol e Pesca (Rua Nova do Carvalho 44, www.solepesca.com) A tiny vaulted bar, decked out in fishing paraphernalia and glass cabinets stocked with tins of sardines. The concept here is so painfully simple it makes you wonder why other places don’t utilise the same formula. Then again, not many places are as famous for their tinned fish as Lisbon is. Sol e Pesca does tinned sardines in various formations, you just choose the type you want from the menu (chilli sardine, herb, etc) and the guy fishes it out (sorry) from the cupboard and brings whatever accompaniments – olives, bread, cheese, beer, wine – you’d like with it. My friend and I joked about setting up something similar here – tinned veg? Baked beans? Sweetcorn? Not sure they’d have quite the same appeal, but you never know. The simple things in life are often the most successful. Sol e Pesca is highly popular, especially on weekends when the tables out the front become a local hangout. Fish and fun in Lisbon. There are seven main hills around the city, all facing the glistening River Tagus, and each one has a “miradouro” (lookout) at the top, with a quiosque – a dark green kiosk serving all manner of refreshment (very welcome once you’ve trundled all the way up there). The quiosques are all renovated 19th-century huts-turned-cafes, repurposed by the city council, and each one sells something different, interesting and usually homemade. Lisboas have their favourites, and now I have mine – I’ve spent many a sunshiny day exploring as many quiosques as my legs (and stomach) would allow. Below is my hit list. I’ve figured out that the best way of reaching the castle is either by taking the No.28 tram all the way up the hill (as most tourists do), or by taking the free elevator from the back of Pingo supermarket just off Rua da Madalena. That takes you up to Costa do Castello, which is bang where you want to be for Verde Perto (see above). From there, the castle is a short walk to your right (don’t turn left up the hill as most people do). 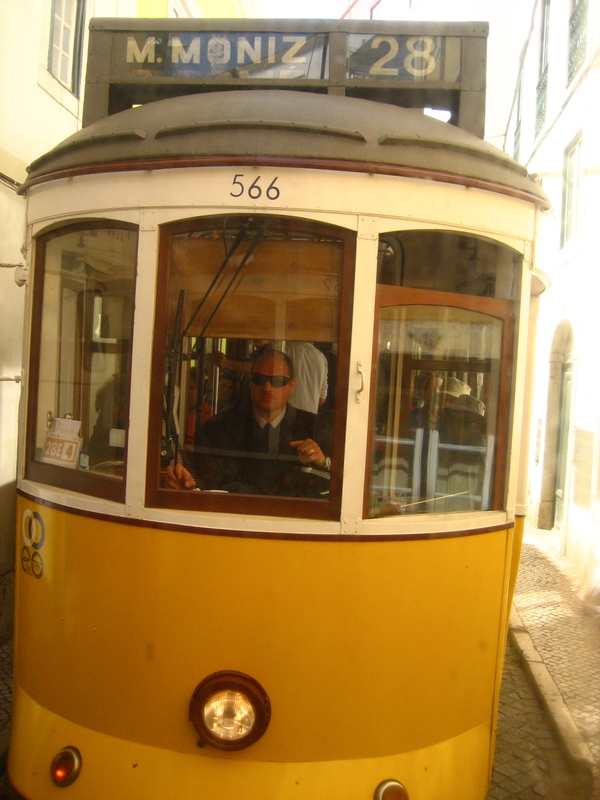 For Miradouro da Graça, take the No.28 tram all the way to its final stop (not the castle) and follow the signs. As it lurches its way up the impossibly narrow streets, all you need to do is worry about snagging one of the coveted single window seats or hanging on for dear life while watching the world whizz by. At the top of the hill you’ll be rewarded with a shady quiosque, sweeping city views, and port, wine and beers on tap. Marvellous. A great place for a morning coffee and a gaze at the 25 de Abril bridge. In the late afternoon/evening, the kiosk and surrounding park turns into a bit of a hangout, attracting groups of young people and creating a party vibe. You can reach this by walking up Rua do Limoeiro from the cathedral, or (better) by taking the back-streets through Alfama and walking up the lanes and alleys behind the houses (which is a nicer because you not only see life in Alfama but have a photogenic archway before you reach the top). 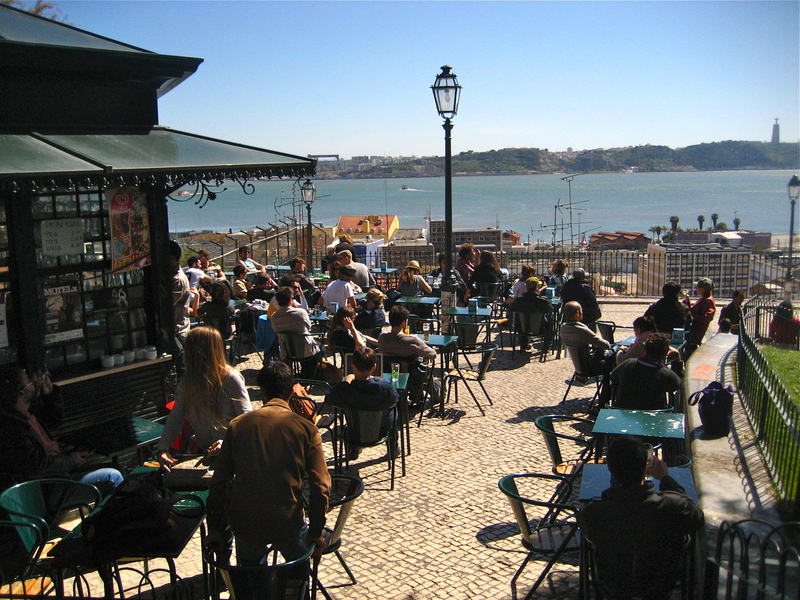 At the miradouro there’s a quiosque, but I prefer the expansive patio of Portas do Sol on a sunny day for ice-cold beers, snacks and coffees. The sofas and parasols are heaven, and you have unbelievable views out to sea. Not an official miradouro, but a top spot for city views and refreshment nonetheless. Take the Elevador from the bottom of Avenida da Liberdade.